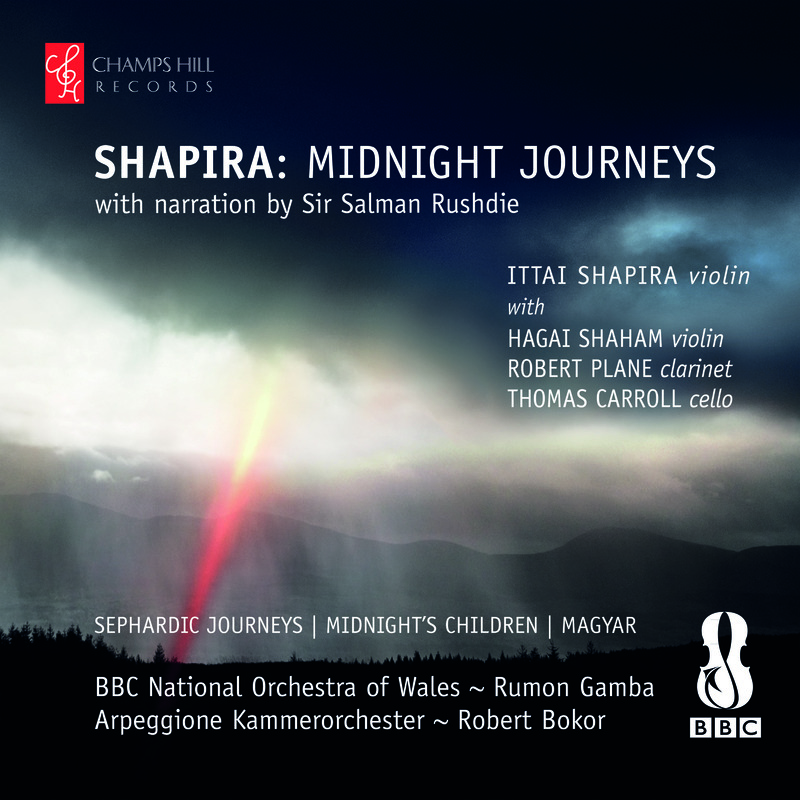 An album of double concertos by composer-violinist Ittai Shapira, composed as part of his recovery and in an attempt to regain and connect fragments his memories after a terrible act of violence inflicted on him over a decade ago. Ittai will use selected sequences from these compositions to work with patients, refugees, women recovering from violence and abuse, veterans with PTSD, and as an educational tool for societal healing. Sephardic Journeys for Violin and Cello - soloist Thomas Carroll - emphasizes a sense of identity and empathy, and draws on the rich and vast Sephardic sound world. 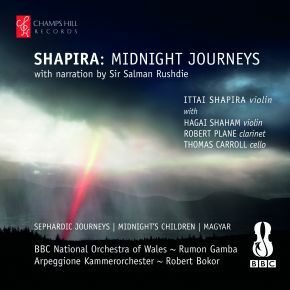 Midnight’s Children for Violin and Clarinet – soloist Robert Plane - is in three main movements, which respond to the three books in the novel, telling the history of India from 1915 to 1978. It features Salman Rushdie as narrator. Magyar: Concerto for Two Violins – soloist Hagai Shaham – was inspired by the film Seven Pounds, in which the main character sets off on a journey to commit seven random acts of kindness; and is rich in Hungarian musical tradition.